‘Beetlejuice: The Musical’ premiered this month for a pre-Broadway run, and we’re getting a look at the production’s dynamic duo. When you think of Beetlejuice, the Michael Keaton-led ‘80s flick is more than likely what comes to mind immediately. In March, we caught wind (and rejoiced) that Beetlejuice: The Musical was in the works. The show just premiered this month at the National Theatre in Washington D.C. for a pre-Broadway run, and we’re getting a look at the production’s dynamic duo. Vanity Fair has an exclusive photo from the set of the production, which stars Tony-nominated Alex Brightman (School Of Rock), as Beetlejuice and Sophia Anne Caruso (Lazarus) as Lydia. Both actors were announced as part of the cast in August. Timbers was first approached about the project eight years ago, and he knew it was important to push the boundaries. Timbers also emphasized Lydia’s storyline much more when compared to its film counterpart. 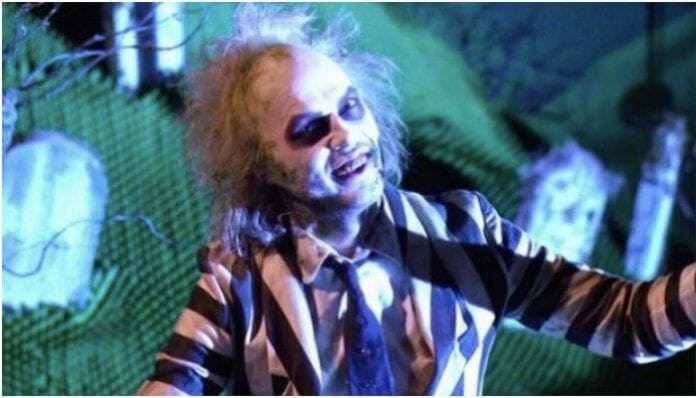 Check out the photo of Beetlejuice and Lydia below. Beetlejuice: The Musical wraps its Washington, D.C. run Nov. 18. The show will open April 2019 at the Winter Garden Theatre, and further information is available here.